Solomon's Suite - A Beautiful vacation apartment designed and equipped to the highest standards in Old Katamon, Jerusalem, and Near the German Colony. The apartment is created specifically with the religiously observant in mind, and includes: Large bedroom with queen sized very comfortable bed (Or two separate beds), Living room with an elegant leather couch which pull's out and can sleep two. 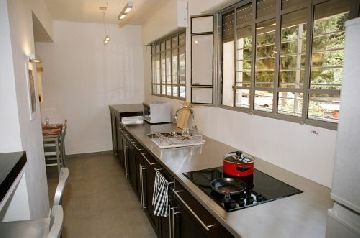 A fully equipped kosher Kitchen & dishes, Stove top and microwave. 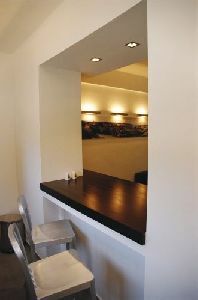 A dining area is right near the kitchen. Their is a bath tub with a shower. Air condition, Washer & dryer. Cable television in the Living room as well as in the bedroom. DVD, free wireless internet connection. Beautiful Linens are provided, and the bathrooms are stocked with towels. We provide free cleaning serves once a week. 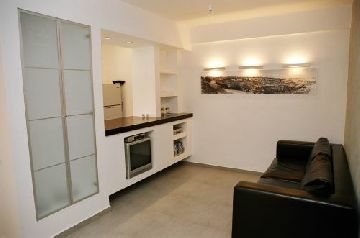 The apartment is located on a quiet side street just steps from Emeq Refaim St. with all trendy restaurants and shops. Solomon's suit is on the ground flour and has free parking in front of the building. We are located in the Old Katamon neighborhood, on the border of the Greek Colony and German Colony. 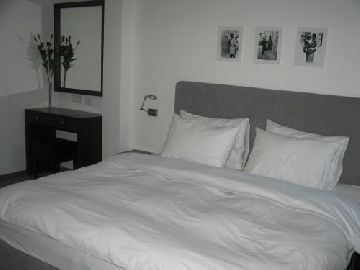 The apartment is located on a quiet side street just steps from Emeq Refaim St. with all trendy restaurants and shops. free parking is available in front of the building.